"I wish I had found Lynda sooner! What a pleasure it is to work with someone who is so creative, diligent, hard working and the epitome of perseverance! Thanks to Lynda's professionalism and dedication, my book received an incredible amount of publicity from different media sources that I had never even thought of. Her knowledge and experience as a publicist continues to generate interest not only in my book, but in my career as a broadcast journalist. For my next book, I can't think of anyone more qualified than Lynda O'Connor....she delivers, and with a smile!" 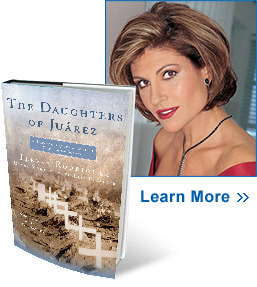 Rodriguez is an 11-time Emmy Award-winning newscaster whose investigative reporting inspired her true tale of multiple murders and government cover-up in Juarez, Mexico. 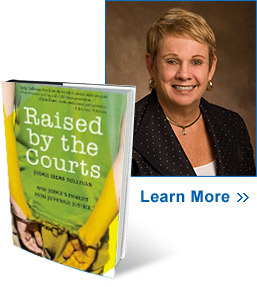 An outspoken advocate for reforming America's juvenile justice system, Judge Irene Sullivan delivers a thorough examination of the factors that cause youths to commit crimes. Her stories of children in court are followed by information on social services and other programs that are more effective and less costly than jailing juveniles. "Lynda and Jim really know how to promote a first-time author. They take the time to read the book and to educate themselves further about the subject. They are very responsive, creative, energetic and sensitive. The O'Connors are a pleasure to work with. I'm proud that they represent me, and that they have become friends." Davis spent five years studying the criminal justice system and Chicago’s Murder Task Force, a unit of the country’s 500 public defenders. 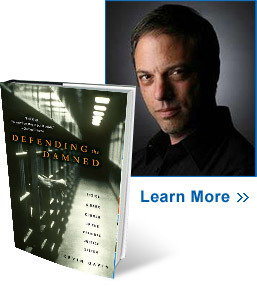 His book reveals why and how certain lawyers choose to represent clients accused of hideous crimes. "Lynda O'Connor's enthusiasm, commitment and creativity are unwavering. She's a zealous advocate and smart thinker who gets results. Once she's on your team, Lynda never lets up. She seems to be brainstorming ideas day and night, always thinking of ways to help her clients." True stories about the lives of human trafficking victims, survivors and the traffickers themselves, with tips on how to identify them and combat the crime. As Central Oregon’s Regional Director for Oregonians Against Trafficking Humans (OATH), Nita helps victims/survivors of human trafficking and raises awareness about modern-day slavery. She is one of the country’s experts on this topic. - by Robert P. Chappell, Jr. 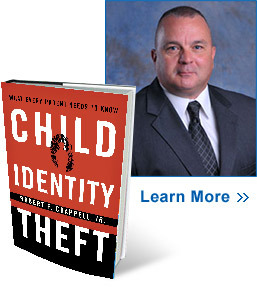 Written in a question-and-answer format, this book explains how children's identities are stolen, how to avoid it, and what to do if it happens to your child. "With the O'Connor team working for me, I was able to garner publicity from coast to coast. Jim and Lynda worked diligently to raise the awareness of both my book, and the important topic of child identity theft. I consider O'Connor Communications a value-added asset to my child identity theft prevention team due to their passion and professionalism." - Robert P. Chappell, Jr.